Enlarge / The home screen of the revamped YouTube Music app, running on an iPad. Google has confirmed that its revamped YouTube Music streaming service will eventually support key features of its Google Play Music app, including the ability for users to upload music files that may not exist in the service’s streaming catalog. Google announced an overhaul for YouTube Music last week alongside a price bump for its YouTube Red service. It then began a “soft” rollout of the app for select users on Tuesday. But the announcement of a revamped YouTube Music app has caused some confusion among those who subscribe to Google Play Music, a streaming music service Google launched in 2011 but has struggled to attract subscribers on the level of category leaders Spotify and Apple Music. Google told Google Play Music users that “nothing will change” in a press release announcing the YouTube Music rollout earlier this week, but that appears to only be true in the short-term. Speaking to The Verge, Elias Roman, Google’s product manager for both YouTube Music and Google Play Music, said that the company’s tentative goal is to migrate Google Play Music subscribers to YouTube Music at some point in 2019, though the report cautions that timeframe may wind up getting pushed back a bit. In any case, Roman said the plan is to have Google Play Music’s major features ported over to YouTube Music by the time of any transition. According to the report, those features will include the ability for users to upload their own music—something Amazon axed from its Amazon Music service last year—and the ability to purchase music instead of just streaming it. Last week, T. Jay Fowler, YouTube’s director of music product management, said that Google Play Music users’ music “collection, playlists, and preferences” will be preserved in any migration to YouTube Music as well. YouTube Music already comes with a modicum of protection against any licensed songs it may officially lack, as one of the key selling points of the service is its integration with music-related videos that live on YouTube proper. 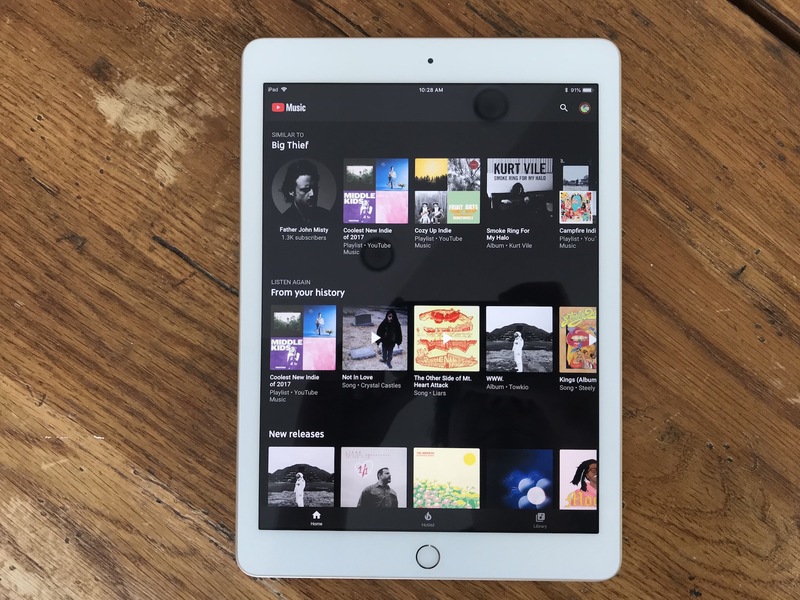 The app may not license every album by a given band, but it can make up for that to an extent by letting users watch and download music videos from that band that have already been uploaded to YouTube alongside the music in their streaming library. That’s not a complete solution, however, so letting users upload music they may have already paid is likely to come as a relief for current Google Play Music subscribers. Nevertheless, Google did not give a specific timeline for when YouTube Music will receive the promised updates. We’ve been testing an early access version of the new YouTube Music this week and we will have more detailed hands-on impressions in the coming days.